A limited number of 2012 Duchess Sanctuary calendars are now available! Featuring photos of our beautiful equine residents, this 13 month wall calendar would make a great holiday gift for the horse lover in your life. Each calendar is individually wrapped. This is a fundraiser and all proceeds benefit the sanctuary. We are anticipating a sell-out, so order quickly! Please include your mailing address for shipment of your calendar. 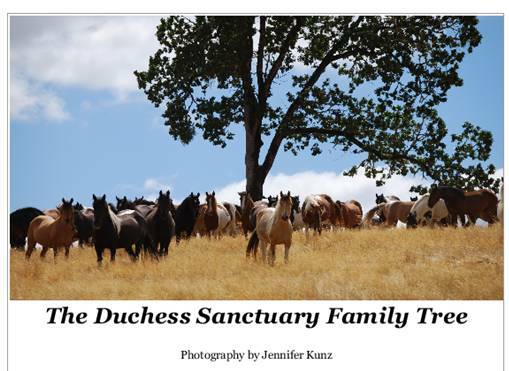 Thank you for your continued support of The Duchess Sanctuary!